While driving from Fort Worth to Wichita on our South Central Loop last spring, we took a small detour to the Wichita Mountains Wildlife Refuge near Lawton, OK. This turned out to be one of our favorite parts of the trip, a reprieve from what would otherwise have been an entire day of interstate driving. We spent a few hours taking in the spectacular scenery and wildlife as we hiked and drove around the refuge. As an added bonus, we almost had the park to ourselves since it was still early in the season. 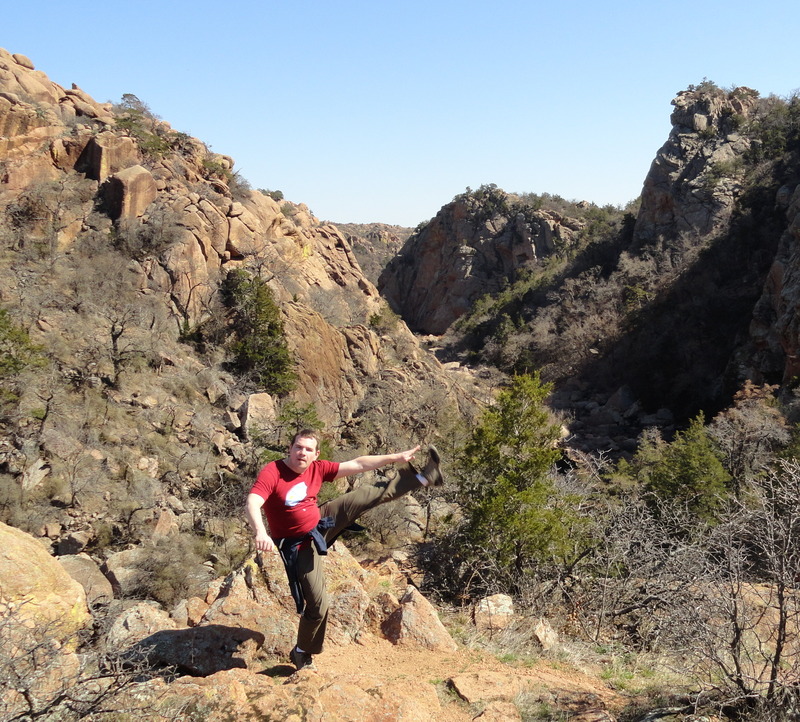 The Wichita Mountains are home to a great variety of plant and animal species – over 1,100 in all. The 60,000 acre refuge was established in 1901 with the purpose of protecting this diversity while providing recreational opportunities for the nearby inhabitants. Today, two-thirds of the park is designated as a wilderness area. Elk and bison – at one time extinct in the region – now number in the hundreds thanks to repopulation efforts taken on by the Refuge. 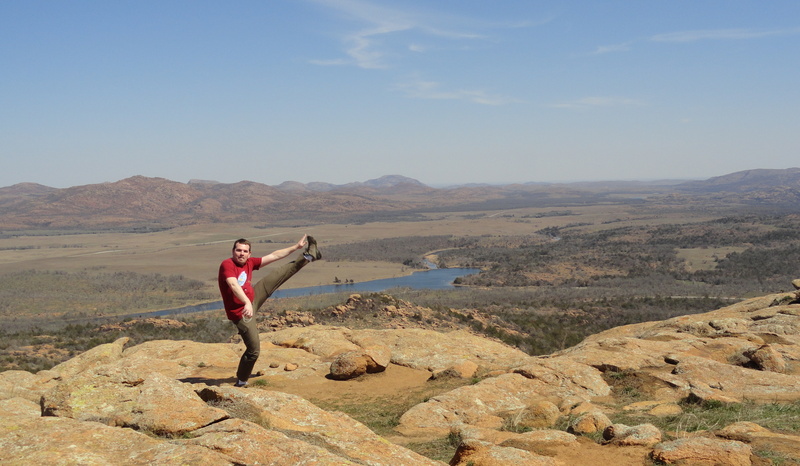 This entry was posted in High Kick Photos and tagged Chicago to Dallas road trip, High Kick, Wichita Mountains National Wildlife Refuge. Bookmark the permalink.